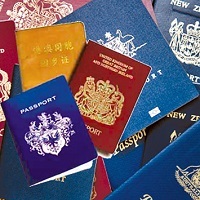 At Travel Shop, we would take care of all your Passport & Visa concerns. From procuring to renewing the documents, chuck all your burden on us and relax. Travel Shop is situated in Gorakhpur, Uttar Pradesh and offers preeminent quality Passport & Visa Services. We are a bunch of gentle professionals at Travel Shop who would serve you by assisting you in filling the forms and would take complete responsibility of submitting the forms with all the needed documents attached. We would also help you to make it through the Visa interviews.